The legacy of Frankenstein’s monster collides with the sociopolitical tensions of the present-day United States. Mary Shelley’s Frankenstein beseeched his creator for love and companionship, but in 2017, the monster has long discarded any notions of peace or inclusion. He has become the Destroyer, his only goal to eliminate the scourge of humanity from the planet. In this goal, he initially finds a willing partner in Dr. Baker, a descendant of the Frankenstein family who has lost her teenage son after an encounter with the police. While two scientists, Percy and Byron, initially believe they’re brought to protect Dr. Baker from the monster, they soon realize they may have to protect the world from the monster and Dr. Baker’s wrath. 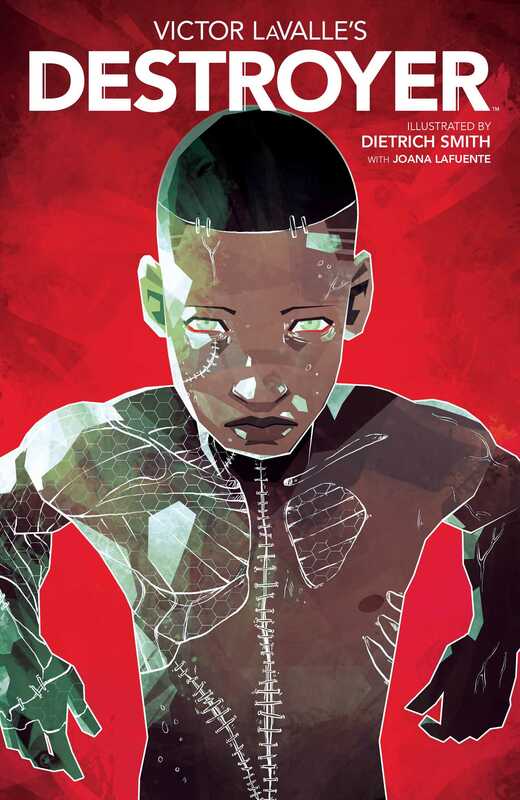 Written by lauded novelist Victor LaValle (The Devil In Silver, The Ballad of Black Tom), Destroyer is a harrowing tale exploring the legacies of love, loss, and vengeance placed firmly in the tense atmosphere and current events of the modern-day United States.